This beautiful set comes in a very nice wood box. It would make your home bartender very happy during the coming holiday parties. 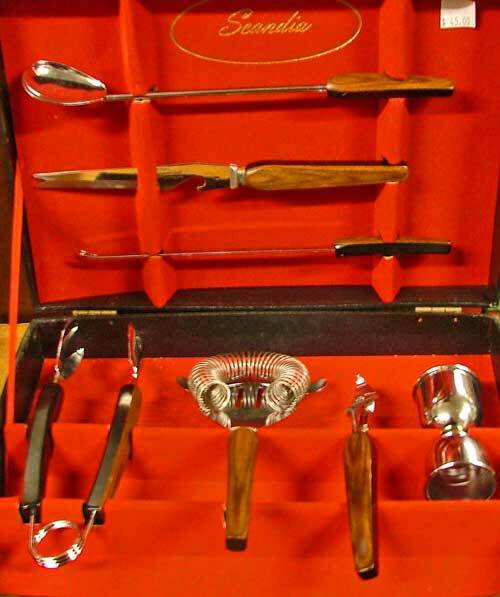 Tongs, strainer, double jigger, and more complete this beautiful and very collectible set. We’ve got you covered for unique ideas for the coming holiday season from entertaining to decorating, gifts to games. Yep, We’ll be watching for ya!